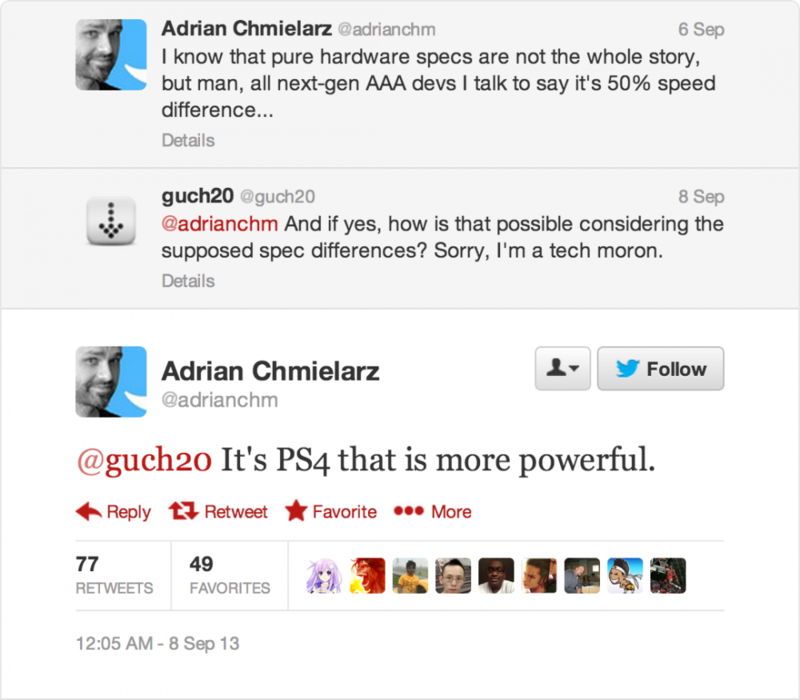 According to a series of tweets from Adrian Chmielarz, the former Creative Director of developer People Can Fly, the PS4 is a more powerful console than the Xbox One. Chmielarz goes on to clarify that the specs won’t make must of a difference, noting that the Xbox 360 is more powerful than the PS3 yet Naughty Dog have managed to make the best looking game this generation with The Last of Us. Think about it this way. 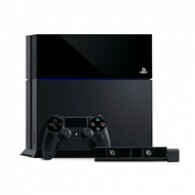 X360 is faster than PS3. Not just easier to program on, it’s faster overall (although PS is faster/better in SOME areas). And yet no exclusive on X360 looks like The Last of Us. Halo 4 looks great. Gears blew my mind in 2006. And still, the best looking AAA game of this generation belongs to the supposedly weaker platform.